MARS STEERS TO RUNNER-UP EFFORT IN ILLINI 100! (April 7, 2019) Returning to action for the first time since Arizona in January, Mars Racing invaded Farmer City Raceway in Farmer City, Illinois on April 5-6 for the 12th Annual 'Illini 100,' which was once again sanctioned by the World of Outlaws Morton Buildings Late Model Series. On Friday night in the $6,000 to win weekend opener at FCR, Jimmy Mars laid down the tenth quickest lap in Group A during the qualifying session prior to grabbing the fourth and final transfer spot through his heat race. In the 25-lap sprint, which was contested on a rugged racing surface, Jimmy worked his way past a handful of cars en route to a steady tenth place showing. (January 12, 2019) A day/night doubleheader in the desert - due to an earlier rainout - took place today at Arizona Speedway in Queen Creek, Arizona, as a pair of $5,000 to win programs were held during the busiest day of the 'Wild West Shootout.' During the afternoon tilt, Jimmy Mars grabbed the fourth and final transfer spot through his heat race before winding up twenty-second in the 30-lap feature. In the nightcap, Jimmy won his heat race in preliminary action, but unfortunately slipped backwards early in the 40-lapper only to retire after only 17 circuits in the twenty-third position. (January 11, 2019) The third contest of the 'Wild West Shootout' miniseries took center stage tonight at Arizona Speedway in Queen Creek, Arizona. A total of 46 Super Late Model entrants piled into the desert facility to vie for another $5,000 windfall. Jimmy Mars posted the fastest lap in his group during the time trial session and later scored an impressive win in heat race action. After drawing the fourth starting spot before the drop of the green flag in the 30-lap main event, Jimmy ran as high as second prior to slipping back to fifth at the checkers to finish behind only victor Bobby Pierce, Kyle Beard, Hudson O'Neal, and Brandon Sheppard. (January 9, 2019) Another $5,000 winner's check was on the line for the #28 team during the 13th edition of the 'Wild West Shootout' tonight at Arizona Speedway in Queen Creek, Arizona. Jimmy Mars knocked down the fourth fastest time in his group during the qualifying session before grabbing the fourth and final transfer spot through his loaded heat race. The Menomonie, Wisconsin ace then started the 30-lapper from the outside of the seventh row and quickly moved up inside of the top ten before eventually landing in the eleventh finishing position. (January 6, 2019) Heavy overnight rain at Arizona Speedway has postponed tonight's second round of 'Wild West Shootout' action to Saturday afternoon, January 12. A day/night doubleheader will now take place next Saturday with both unsanctioned Super Late Model programs boasting a $5,000 top prize. Dirt-slinging competition at the Queen Creek, Arizona facility will resume on Wednesday, January 9. 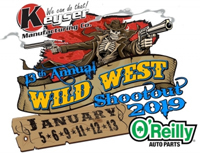 (January 5, 2019) The 2019 campaign officially kicked off tonight at Arizona Speedway in Queen Creek, Arizona with the opening round of the 13th Annual 'Wild West Shootout.' A strong field of 45 competitors converged at the Copper State venue for the $5,000 to win throwdown. Jimmy Mars stopped the clock fourth quickest in his group during the qualifying session prior to placing third in his loaded heat race. 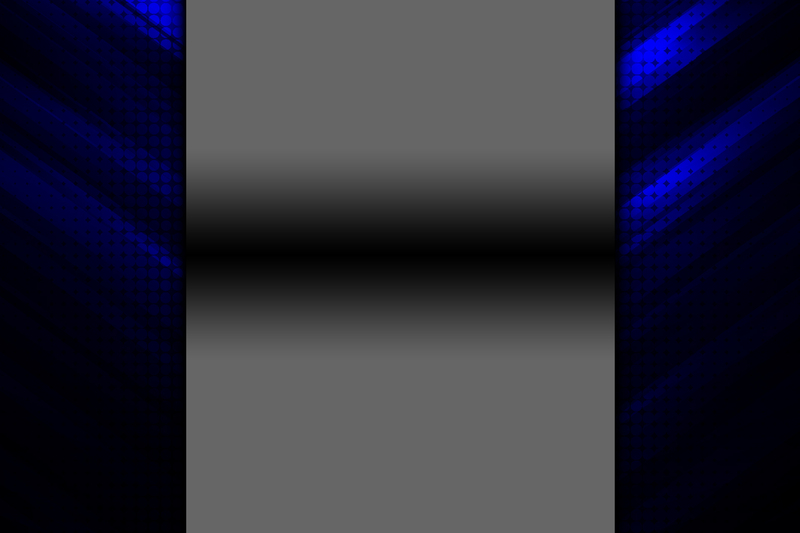 After rolling off from the inside of the fifth row in his 2019 season lid lifter, Jimmy streaked up to third in the running order, but unfortunately retired with problems with just over ten laps remaining. The Menomonie, Wisconsin ace was forced to settle for a disappointing twentieth place showing. MARS READY TO START 2019 THIS WEEK IN ARIZONA!! (January 2, 2019) Things kick off for the #28 team later this week in Arizona with the 2019 edition of the 'Wild West Shootout.' 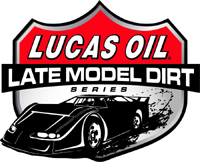 From January 5-13, six unsanctioned Super Late Model specials will be held at Arizona Speedway in Queen Creek, Arizona. The first five shows (January 5, 6, 9, 11, and 12) will boast a $5,000 paycheck, while the grand finale on Sunday, January 13 is slated to pay a whopping $14,000 to the winner. Jimmy Mars has five (5) career wins in Arizona in the month of January and will be looking to add more early-season success to his resume when the dirt starts flying this Saturday at the Phoenix-area facility! More information on the 'Wild West Shootout' can be obtained online at www.wildwestshootout.net. (October 14, 2018) Over a month removed from the original 'World 100' date, the completion of the rain-postponed crown jewel spectacular took place on October 12-13 at the hallowed Eldora Speedway in Rossburg, Ohio. Action was scheduled to start on Friday evening at the "Big E" with a pair of $10,000 to win Twin 25s, but additional inclement weather pushed back the preliminary program to Saturday afternoon. Jimmy Mars placed seventh in his loaded heat race prior to grabbing the third transfer spot through his B-Main. Jimmy then started twenty-first on the grid in his 25-lap main event, but was eventually forced to settle for a twenty-third place performance. MARS LANDS ON PODIUM IN RED CLAY CLASSIC! JIMMY MARS NABS PAIR OF RUNNER-UPS IN PUNKY MANOR! (September 23, 2018) Jimmy Mars, of Menomonie, Wisconsin, headed to his hometown Red Cedar Speedway on September 21-22 for the 39th edition of the 'Punky Manor Challenge of Champions.' Jimmy wheeled the Paul Gilberts-owned #28 MB Customs Late Model to a heat race win on Friday night before rolling off from the pole position in Saturday's $4,000 to win headliner. The popular driver known as "The Iceman" ran second much of the 30-lapper and eventually settled for a runner-up performance behind only winner Travis Budisalovich. Behind the wheel of a #289 Open Wheel Modified, Jimmy also won his heat race in preliminary action on Friday prior to leading most of Saturday night's $2,000 to win finale before ultimately finishing a close runner-up behind only victor Kevin Adams. Complete results from the 'Punky Manor Challenge of Champions' weekend can be found online at www.redcedarspeedway.com. 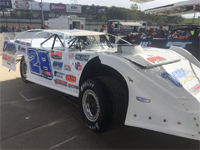 (September 16, 2018) The #28 team made their way to the Hawkeye State on September 13-15 for the 15th Annual 'Lucas Oil Late Model Knoxville Nationals' at the storied Knoxville Raceway in Knoxville, Iowa. The action started at the 1/2-mile, semi-banked speedplant with a pair of preliminary shows - each of which paid $7,000 to the winner. On Thursday night, Jimmy Mars ran third in his heat race before winding up fourteenth in the final rundown of the 25-lap main event. At Knoxville on Friday evening, Jimmy placed second in his heat race prior to driving up to sixth in the 25-lapper to trail only victor Brandon Sheppard, Frank Heckenast, Jr., Don O'Neal, Jonathan Davenport, and Tim McCreadie! MARS LANDS ON PODIUM IN SCHEFFLER MEMORIAL! (September 1, 2018) Jimmy Mars entered a pair of special events leading into the hectic Labor Day weekend and was able to record a pair of Top Five efforts! On Thursday night, August 30 at Proctor Speedway in Proctor, Minnesota, Jimmy vied for his second straight 'Silver 1000' victory with the WISSOTA Challenge Series. The Menomonie, Wisconsin standout ran third in his heat race prior to picking off eight competitors in the $2,750 to win main event to earn a solid fifth place showing. Jimmy trailed only victor James Giossi, Jesse Glenz, Darrell Nelson, and Pat Doar. 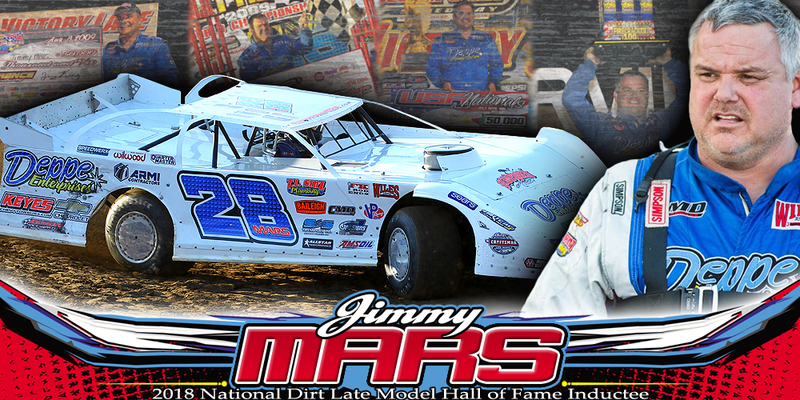 JIMMY MARS BAGS $5,555 PAYDAY IN DUANE MAHDER MEMORIAL!